Southern Oregon's Mount Bailey (8,368') is far from the most recognizable of Cascade volcanoes (the dramatic spire of nearby Mount Thielsen is far more interesting than Bailey's rather nondescript hump). Access to Bailey is also a challenge-- the foot of the mountain is a flat four-mile skin from the highway (unless you have a snowmobile or hire its resident snowcat operation). But what it lacks in some things, it makes up for in others. 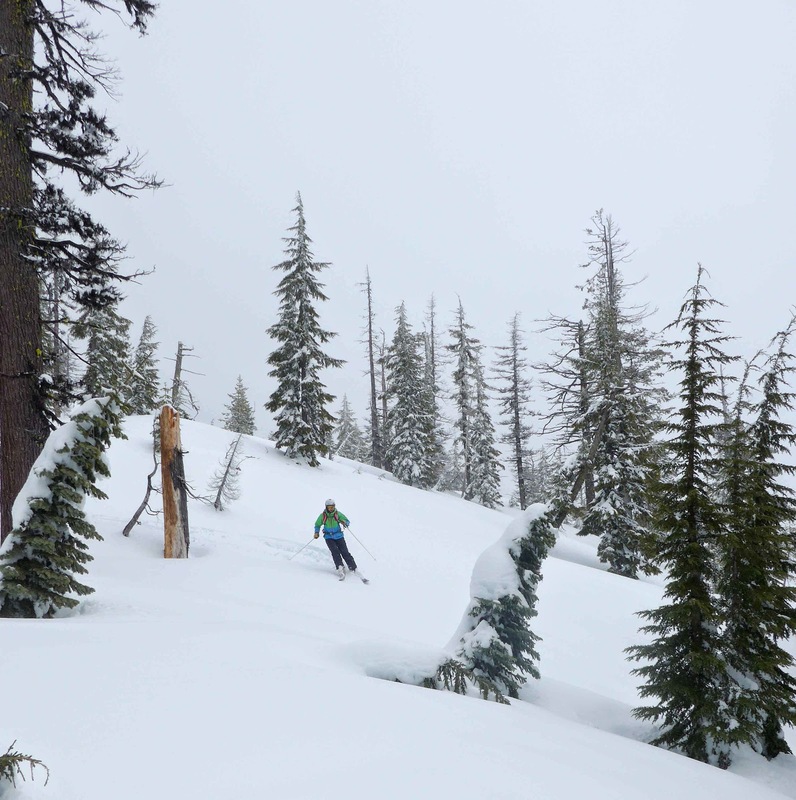 No other mountain I've skied in Oregon provides quite the same mix of ridges, bowls, trees, and steeps on all aspects as Mount Bailey. 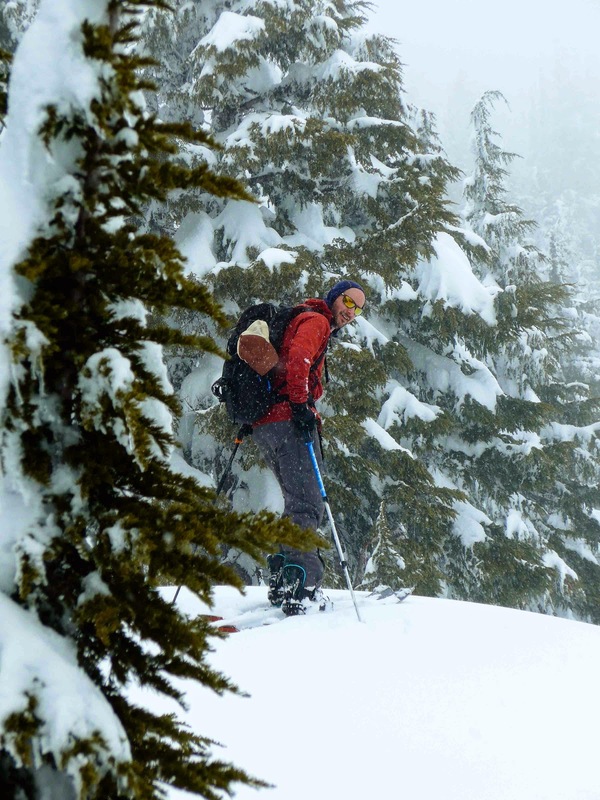 Virtually every square inch of the stratovolcano is skiable. 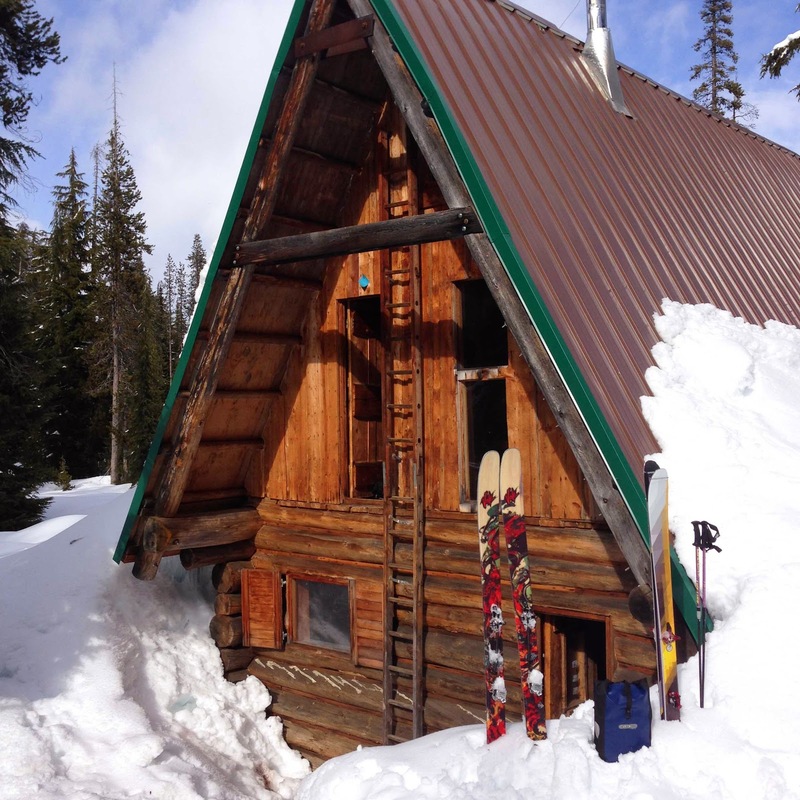 Bailey also offers the Hemlock Butte Cabin (pictured below), which helps mitigate the long ski approach by providing shelter for overnight tours. Built in 1990 by the Eidelweiss ski club of Douglas County, the primitive A-frame is a throwback to the 19th century and features a wood stove, pit toilet... and not much else. The cabin cozily sleeps as many as 12 people and, at 6,000 feet, is a mere stone's throw from the base of the mountain. 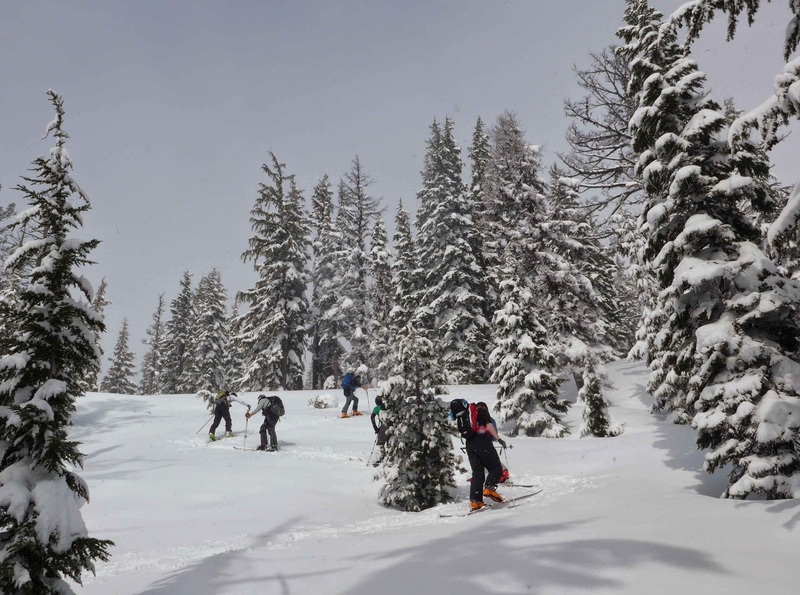 Popular with skiers only (motorized access to the cabin is forbidden), its reservations system fills up for the entire winter within minutes of becoming available in the fall. 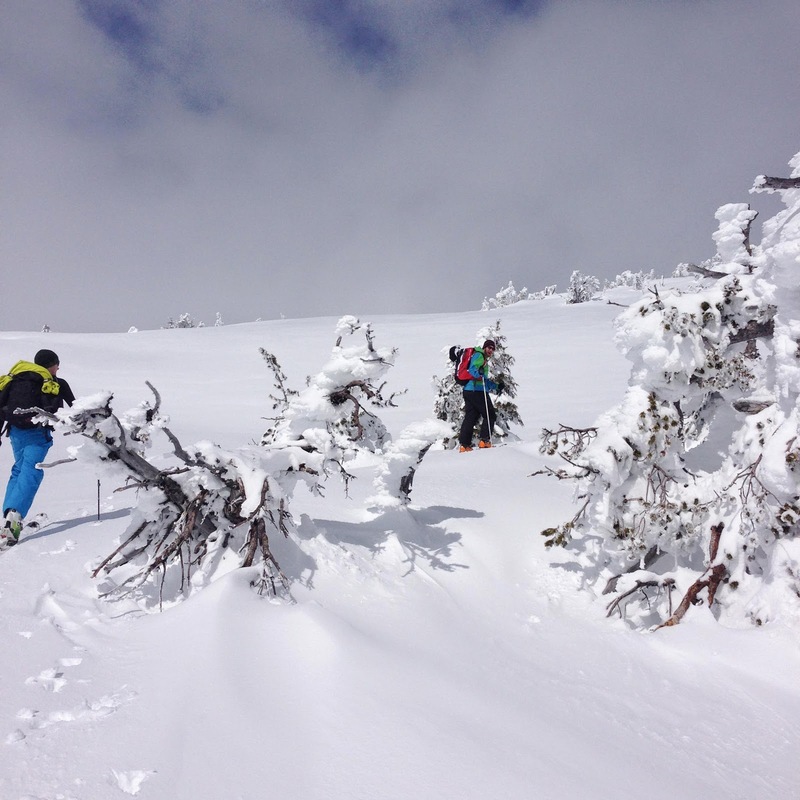 For the second consecutive year (thanks to quick action by Sam after the government shutdown last October), our group of skiers reserved the first weekend in April. Mount Bailey topo map: The Hemlock Butte Cabin is located at the foot of Hemlock Butte, and the SnoPark is roughly two miles southeast from the lower right hand corner of this map. 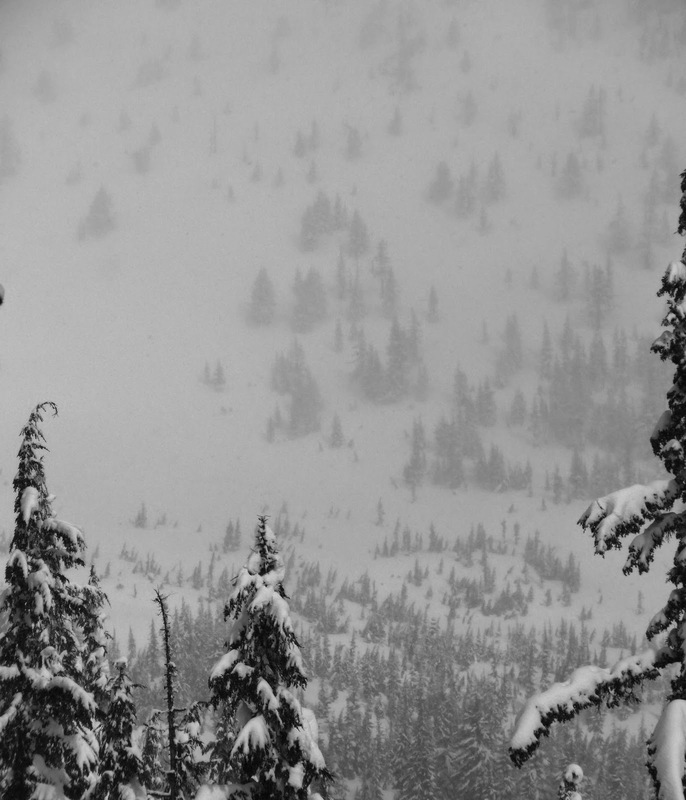 On Friday afternoon, April 4, we began to converge on Mount Bailey. Sather and I were the first to arrive at the Three Lakes SnoPark off the Diamond Lake Highway. 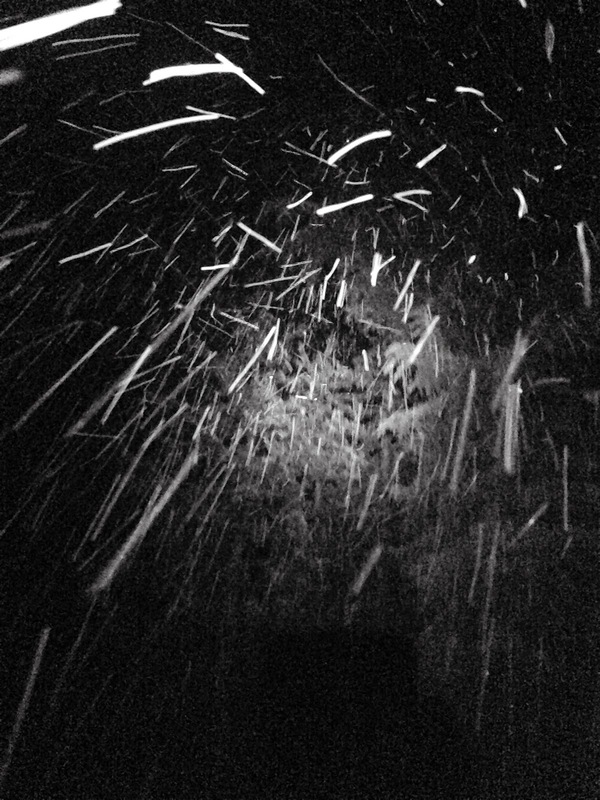 It was snowing steadily at two in the afternoon, and our excitement was palpable. 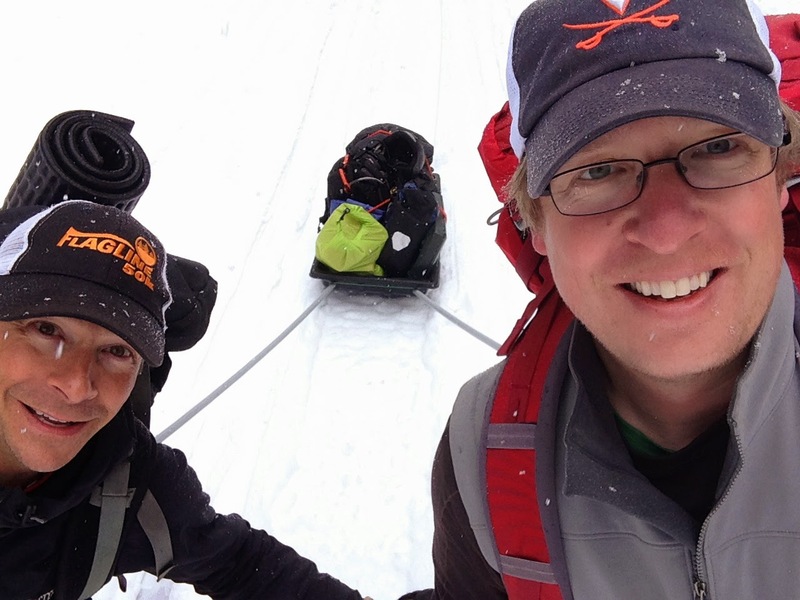 The two of us quickly loaded my homemade ski pulk and embarked on the four mile slog to the Hemlock Butte Cabin. Two hours later, Sather and I arrived at the cabin. After acquainting ourselves with the cabin, we pulled a bench outside and took in beers and the view from our temporary home. Minutes later, as we were finishing our beer, Jared M., Jared H., and Gordon arrived, pulks in tow. The new arrivals got settled in, and Sather and I took a quick ski lap up nearby Hemlock Butte. The snow was heavy, but it was nonetheless fun to make a few turns. Later that night we shared stories with the others over dinner and more beer. Sometime after nine PM, Sam, David, and the remainder of the group arrived. By 11 PM, everyone had retired. Saturday would be a big day. It snowed off and on the entire night. We awoke the next morning to three inches of fresh snow at the cabin. 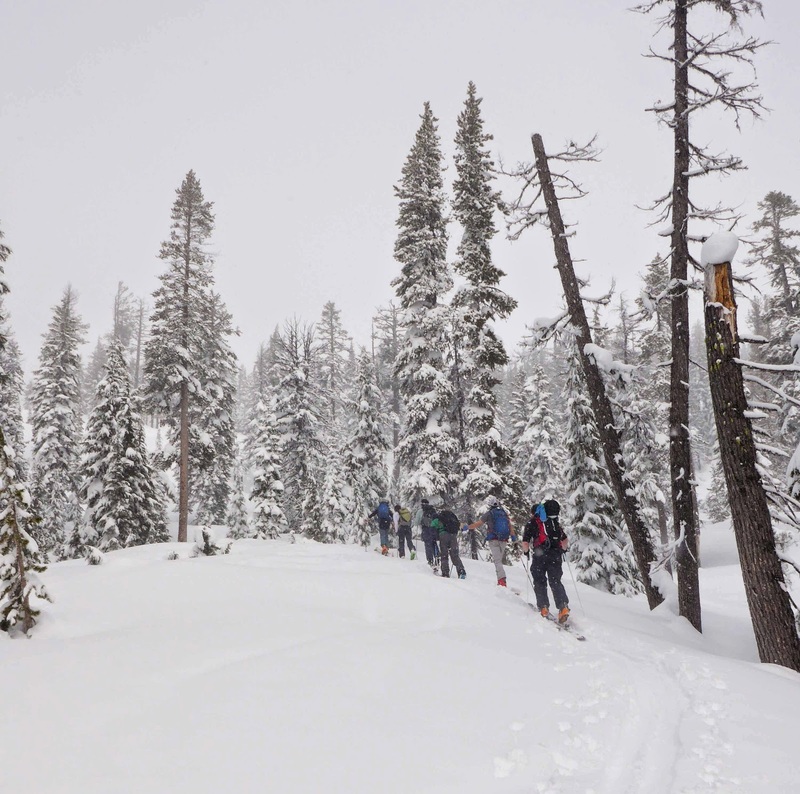 After coffee and breakfast burritos, eight of us hit the trail, ascending the southeast ridge of Mount Bailey. 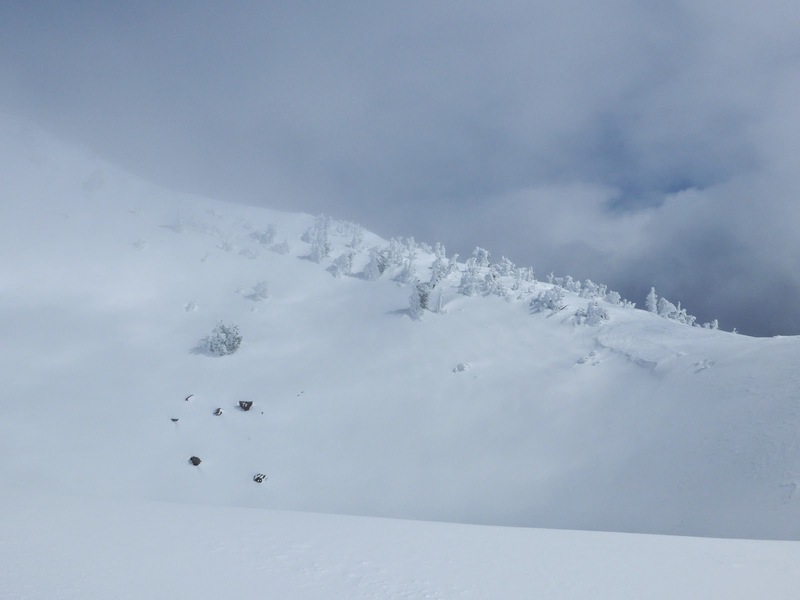 At 6,500 feet, there was about eight inches of snow on top of the previous week's sun crust. Once we reached the edge of Avalanche Bowl at around 7,200 feet, we stopped to dig a snow pit. 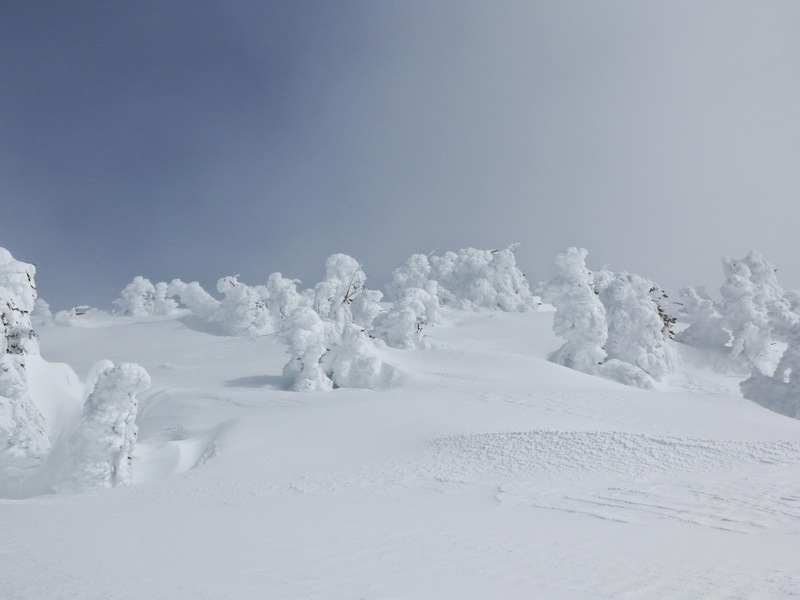 Earlier that week we heard reports of widespread wind slab, however it appeared that the warmup and refreeze earlier that week had gone a long way toward stabilizing the snowpack. 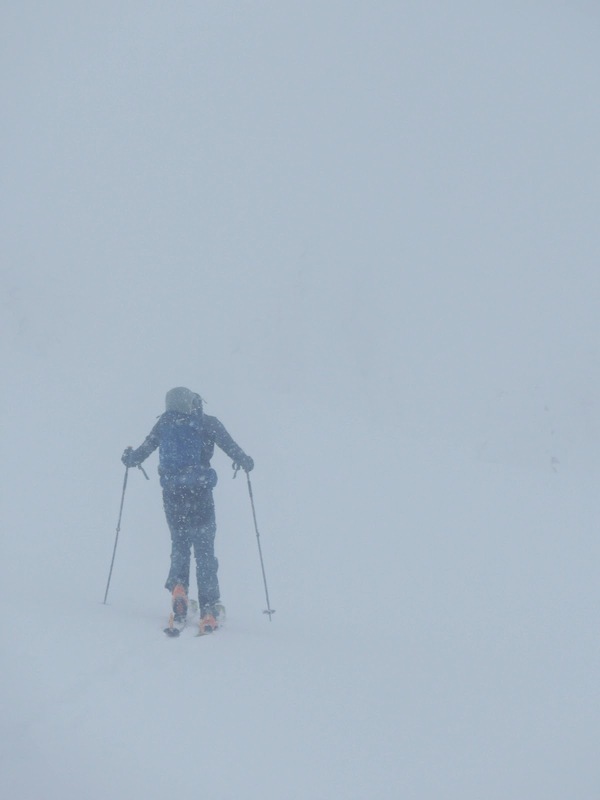 Confident that conditions were safe, five of the group members took off down the southeast ridge for a quick lap. David, Gordon, and I continued up the ridge. It had been lightly snowing most of the morning. But for maybe twenty minutes as we progressed up the ridge, the skies cleared around us and the sun came out. It felt like we were on an island in the sky. An hour or so later, the rest of the group caught up with us. Together, the eight of us skinned to the saddle between the main summit and south summit of Bailey. 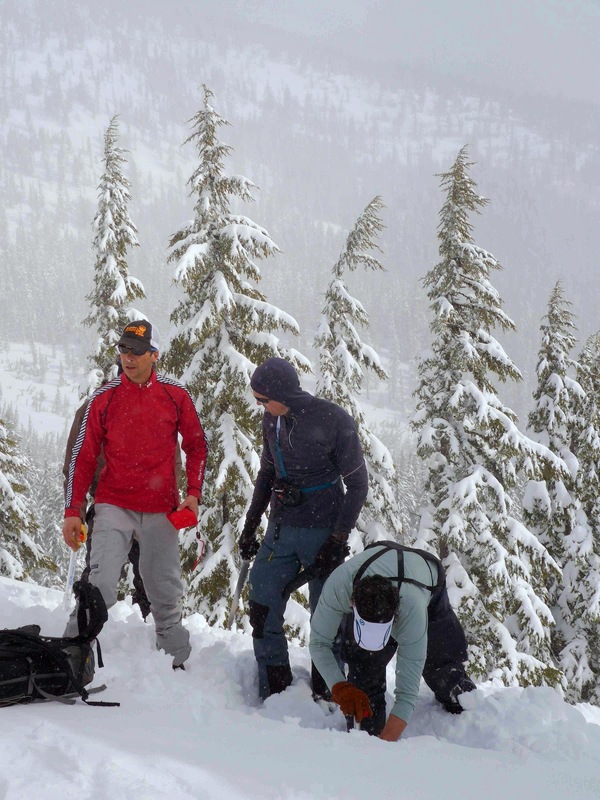 There we decided to split into two groups-- one would continue to circumnavigate the mountain in a clockwise fashion. My group-- which incuded David, Jared H., and Jared M., would ski a couple laps on the south side of the mountain. As our now foursome dropped in for our first turns on the south side of the mountain, we were surprised how good the snow was. The sun crust that was found on the east side was nowhere to be found here, and the wet snow was bottomless. We whooped our way down the ridge until the terrain flattened at around 6,800 feet. 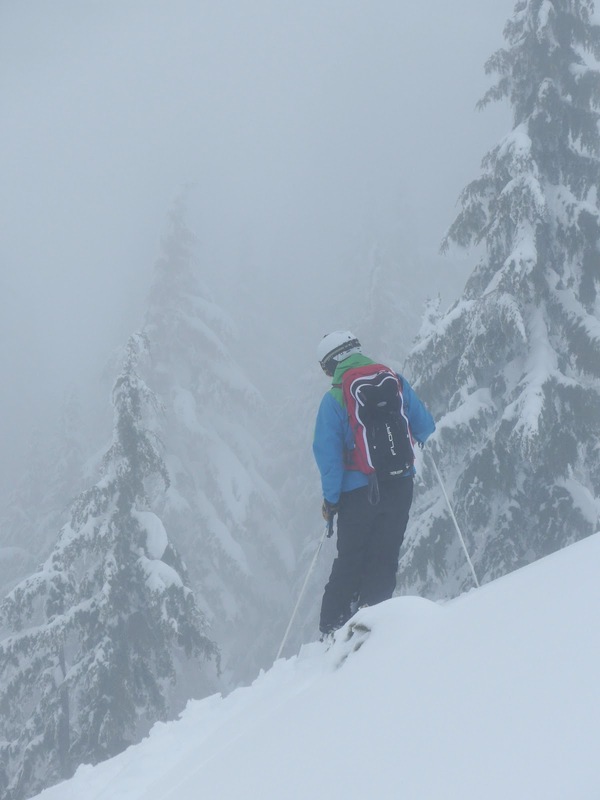 After reapplying our skins at the bottom of the southwest ridge, we traversed east to the south ridge, where we ascended into a whiteout. 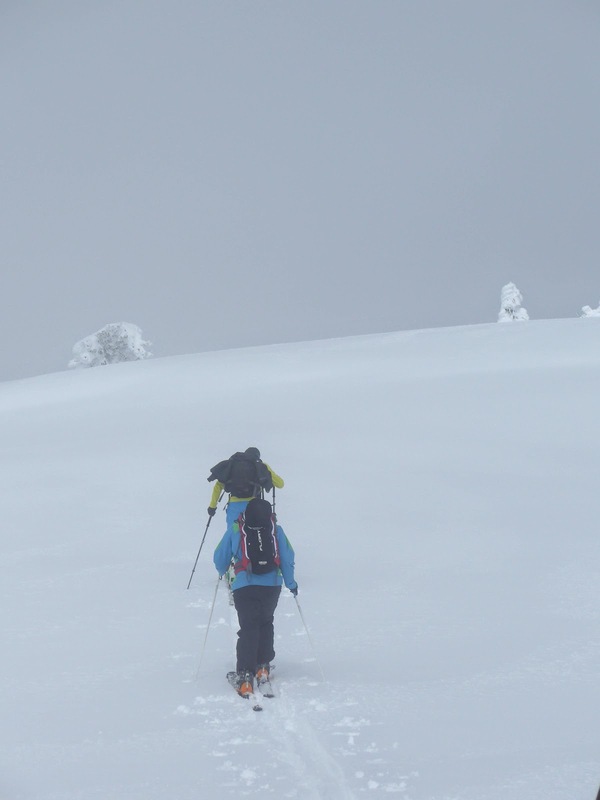 Thankfully, GPS helped us to maintain our bearing and avoid avalanche terrain. After traversing above the south bowl back to the southeast ridge, the four of us enjoyed a long final run of the day down the ridge back to the cabin. The four of us arrived back at the cabin shortly after 2 pm, where we enjoyed beers, food, and stories of the day, and relaxed our weary bodies by the wood stove for much of the afternoon. 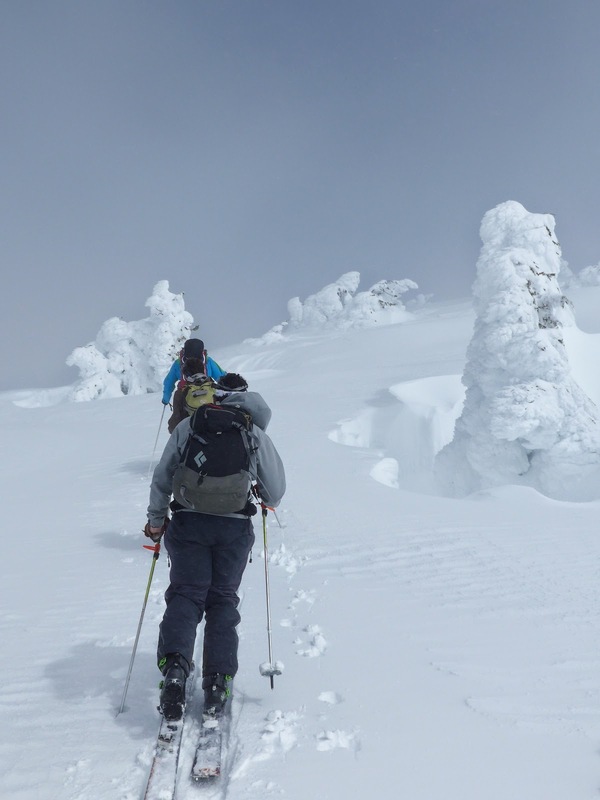 A few hours later, the remaining foursome stumbled in, having circumnavigated the summit of Mount Bailey (for more on their route, see Sam's trip report at the Kickturner). That night we heard their tales while enjoying chicken fajitas prepared by David. Exhausted, most of us retired by 9 pm. 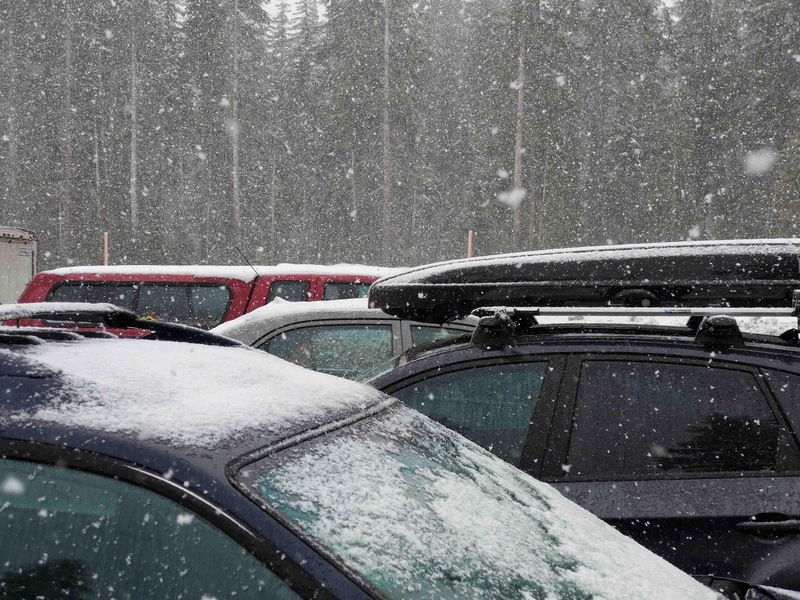 Temperatures warmed overnight, and Sunday morning we awoke to a light drizzle, which nobody was interested in skiing. We had a leisurely breakfast of coffee and breakfast sandwiches before packing and embarking on the four mile skin back to the car.